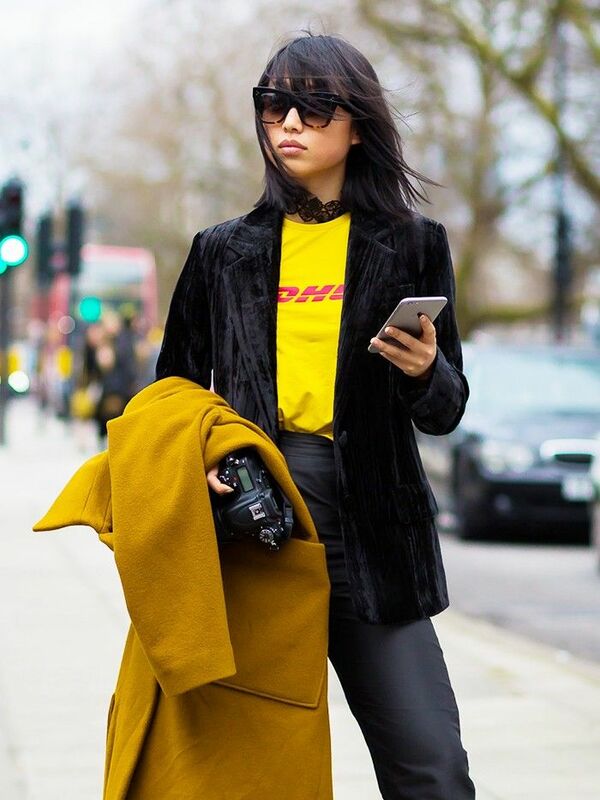 If there are two groups of ladies we get the most style inspiration from (besides celebs, of course), it’s the street style stars of NYC and L.A. The crowds have their own sense of style, but we’ve actually noticed that both groups have been wearing similar outfits recently. Naturally, though, each has either that East or West Coast twist. Keep scrolling to check out how NYC and L.A. girls style similar outfits and to find your perfect spring ensemble to copy right now, no matter where you live. Hillman dressed up her denim skirt with a chic leather jacket (complete with shearling collar!) and gorgeous knee-high boots. To give this button skirt a lower-key feel, Lim opted for an easy striped tee and sandals. The crisp blazer gave the overall vibe just the right amount of polish. Olivia gives her little red dress that sophisticated NYC twist with a pretty scarf and smart accessories like pointed flats and a chain-strap bag. For a chill L.A. look, Sarinana went for a fun woven hat and laid-back white sneakers with her printed frock. It’s easy to give flared jeans a sleek spin with sophisticated heels, like Bernstein did here. A nice sweater and colorful jacket complete the look. We love how Song mixed NYC sophistication with L.A. ease by pairing a denim-accented blouse and rounded-toe slingbacks with her loose-fitting jeans. McPherson totally mastered that not-trying-so-hard NYC vibe with her flowy top (complete with interesting cutout details! ), culottes, and strappy sandals. We’re so into Marie’s flowy suit here. It has that L.A.-cool feel but also feels fresh and modern. What’s your favorite outfit? Let us know in the comments below!